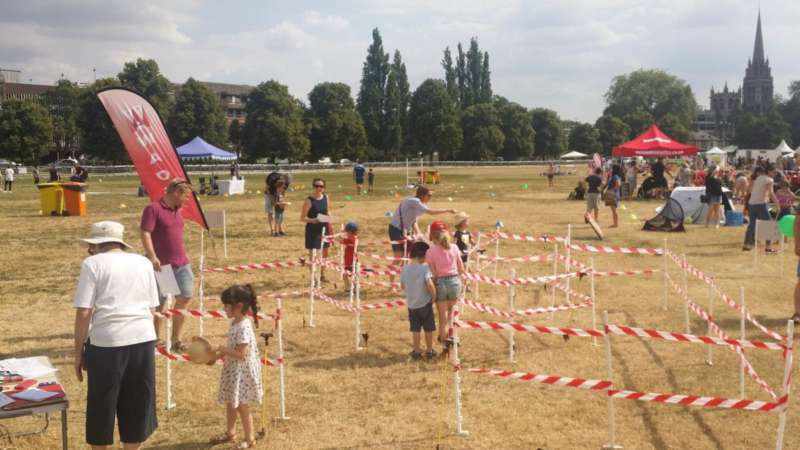 On Saturday 14th, a number of WAOC members led by Hazel organised a timed maze as part of the Cambridge Big Weekend Sports Zone. Over 40 people took part (mainly children). It was a long day on Parkers Piece starting with setup starting around 9am (all cars had to be off-site by 11am). The event itself was open for 5 hours. It was quiet at the start (unsurprisingly given the old adage about mad dogs and Englishmen), but by 3pm there was a queue of children wanting to have a go. A special shout goes out to Summer who did every single maze course available even the extra-difficult mirrored courses. We'd love to see you all at our next event at Milton Country Park on 28th. Thanks to Hazel, Mike, Stephen, Bruce and Maria for their hard work.